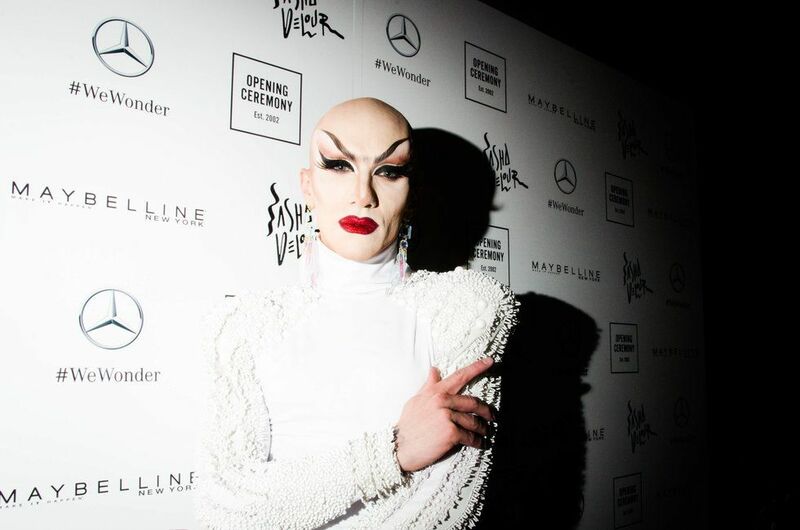 Last night, Opening Ceremony and Sasha Velour gave the world a glittering drag extravaganza. The outrageous, inclusive show — which featured a performance from the Christina Aguilera — might have been the most earnest, fuzziest thing ever seen at fashion week. Everyone wore smiles about 10 feet wide. It also happened to fall on Rosh Hashanah, the Jewish New Year. L'Shanah Tovah, Sasha! Directly after Xtina's performance, staffers transformed the venue, Greenwich Village institution Le Poisson Rouge, into a party space. Show guests, and a line of partygoers clambering at the door, stayed on to drink Svedka cocktails and dance and hug Kim Petras (she is very generous to fans). 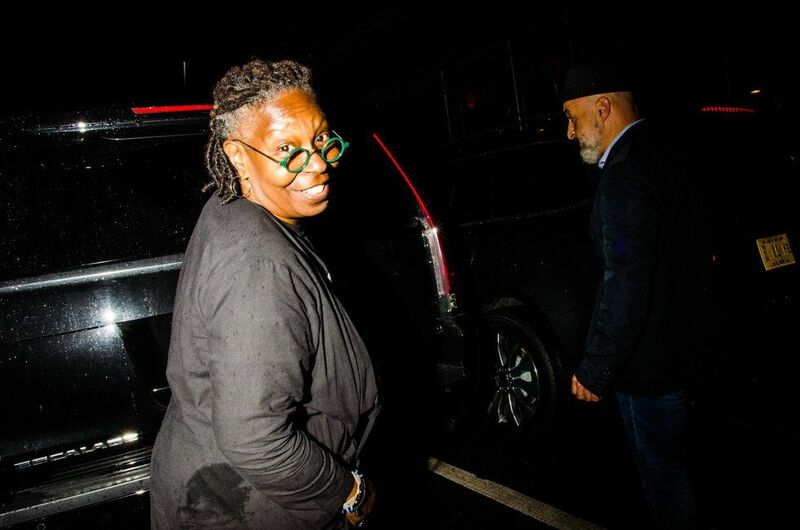 Whoopi Goldberg, our favorite fashion week person, smiled and waved as she ducked out. We stopped to chat with PAPER cover star Hayley Kiyoko, who, despite being a RuPaul's Drag Race fan, had never actually seen a live drag show before. "I was crazy," she said. "I was like crying during the performance. It was so beautiful! And everyone around me was screaming the whole time for Christina. I'm so happy to be here." Kiyoko is having a great fashion week. "It's chaotic, overwhelming, emotional. I've never met so many famous people in my life." As the party kicked off, Sasha was surrounded by well-wishers, posing for dozens of photos with friends and fans. She told us that Opening Ceremony founders Humberto Leon and Carol Lim initially invited her to the opening of Performance Space New York, an exhibition space in the East Village (which also played host to the premiere of Leon's directorial debut, a film for Kenzo). "I freaked out because I had followed them forever, but had no idea that they knew who I was," she gushed. "And at dinner they confessed that they had been watching some of my craziest YouTube videos, the ones where I dress up like Golum and perform to Kate Bush." She continued, "We just started talking about what a drag takeover of the Opening Ceremony might be, and I really tried to think about what a drag takeover would be in every aspect, from the fashion to the production to the models, and it was so much fun bringing it to life." Sasha spent much of the show discussing the idea of chosen family and finding a queer community. She made a point to be kind. "Drag shows make you cry, but with happiness and joy," she explained. "You feel like you really belong to a community that's so amazing, and that's what I wanted to cultivate. Fashion shows aren't really known to make you feel that way, so I was like, can we combine all the out of this world, jaw-dropping excitement of fresh fashion with all that heart?" It's safe to say she succeeded.